It’s drop off time at day care. As several moms and dads prepare to leave some of the children appear concerned, some edge closer to the door, others might fuss and cling to their parent’s leg. Others look up and smile or wave, then return to playing. Still others seem unconcerned that their parents are leaving for the day. What’s going on here? In part, children are displaying their natural inborn temperamental differences. For instance, your little one might have a shy or outgoing personality; she may be easily distracted or very focused. When you couple this with the brain changes that are going on in the first 2 years of life, separations can vary from non-events to a trying time for families. 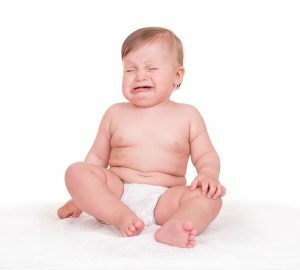 When temperament researchers study babies, they typically divide them into three categories: easy, difficult and slow-to-warm up (with nearly a third of babies showing a mix of traits.) These categories are based on how active they are, how well they deal with change, how intense their reactions are, and other dimensions. Regardless of which temperament they display, separation anxiety is a universal phase of child development. It usually begins around ages 7-8 months, peaks around 14 months and declines after that. Suddenly, or so it seems, a child reacts negatively to others’ outstretched arms or panics when mom or dad leaves her sight. Children who have been previously content in others’ care will protest and cling to their parents in a way that can be baffling. Tears flow, and separation becomes a difficult experience for all. As newborns, babies believe that they are one and the same as their mothers. At around 7 months babies begin to understand that they are a separate person. This, in turn, leads to the realization that moms can leave them without yet understanding that they will return, generating stress at the moment of separation. This will also often result in babies showing a strong preference for their primary caregivers versus other adults. When they are born, babies are so ‘in the moment’ that they are only aware of their immediate needs (e.g., food, sleep, attention). Separation anxiety is, therefore, evidence that their level of awareness is expanding to include their surroundings and the people close to them. For months, babies have been getting used to a familiar routine with their parents. At some point the development of their memory allows them not only to learn their schedule, but to expect it; separations, transitions, and the presence of strangers disrupt that routine. In parallel with this process, babies are also developing object permanence, which means that they now know that you exist even when they can’t see you and, therefore, they want to seek you out. One other factor to consider during this year is that babies start to become very good ‘readers’ of others’ emotions. They pick up and imitate (or ‘mirror’) emotions they see in others. One reason to keep your own emotions in check if you are anxious about separating from your child is that you don’t want to “feed the anxiety”. The more nonchalant you can be, the better for your little one. Keep goodbyes brief and make sure separations are reassuring and consistent. Prolonged goodbyes or repeated separations/reunions in short bursts of time keep a child in a heightened state of alert. Leave behind a familiar lovey or a picture of you; some children use items like a parent’s purse as a “substitute” security object when a parent is absent. Build in time at home to introduce new people. If a babysitter is present, don’t rush out the door, but give your child some time to adjust to her presence. Expect “I’ll be back in an hour” to be reassuring. Toddlers have no sense of time, so they can’t fathom the difference between a short and a long absence. Be alarmed if your child cries (this is actually a good sign that you are a secure base of attachment for her). Know that she will recover and move on in your absence. ‘Sneak out’ to avoid toddler upset. While seeing you go out the door may instill (temporary) tears, it is more distressing for the child to search for you and not know what happened.